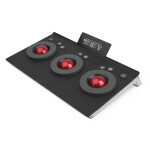 Blackmagic Design HDLink Pro DVI-Digital HDL-DVIPRO includes amazing quality DVI and HDMI monitoring with 6 channels of RCA analog audio out, 3D lookup tables, Dual Link 3 Gb/s SDI input, single link 3 Gb/s SDI loop thru output, and support for 24 inch displays for HD monitoring and 30 inch displays for real time 2K monitoring. 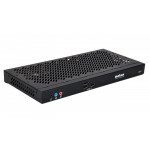 HDLink and HDLink Pro connect SDI video directly to any supported DVI-D based LCD computer monitor for incredible true HDTV resolution video monitoring. The new HDLink Pro model introduces 3 Gb/s SDI for high resolution 2K film monitoring when connected to a large 30 inch DVI display. With every individual pixel in the HD or 2K SDI connection digitally mapped directly to the pixels of the LCD display, you get a perfect digital-to-screen pixel for pixel HDTV or 2K display. 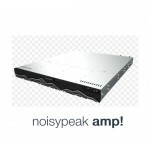 Connect any HDMI television or video projector to HDLink for cinema style monitoring! Even large 23 inch CRT based monitors can't display the full resolution of the HD-SDI signal, but with HDLink you see every pixel in the HD signal, so you'll always see a perfect image. You'll be amazed at the quality of High Definition or 2K video when you monitor via HDLink for the first time. There's simply no higher resolution HDTV monitoring possible! HDLink supports all DVI-D based digital computer displays and now also includes HDMI video support. HDMI supports video at 1080i/50, 1080i/59.94 and 720p/59.94 on any HDMI device. DVI-D supports displays at 1920 x 1200 (16:10) resolution for all 1080 HDTV formats. When working in 720 HDTV formats you can even use lower cost 1280 x 800 resolution display for pixel for pixel 720p viewing. When working in NTSC or PAL, HDLink can 2x oversize the displayed image making viewing easier. Because most computer displays are limited to approximately a 60 Hz refresh rate, HDLink will automatically apply pull-down to allow video frame rates to be displayed. HDLink includes a built-in Power PC processor allowing automatic adjustment of native display resolutions using VESA E-EDID1.3. HDLink introduced the world's first full HDTV resolution 4:4:4 monitoring solution that supports both standard definition SDI, HD-SDI and Dual Link HD-SDI 4:4:4 for full resolution color monitoring. 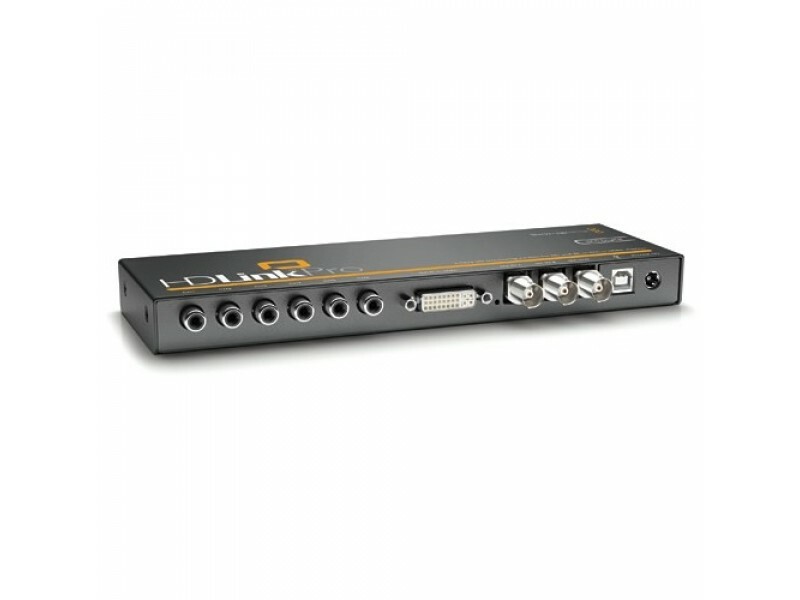 Dual Link HD-SDI 4:4:4 uses two HD-SDI video cables for twice the color resolution. Conventional SD and HD video is 4:2:2 based, which limits color detail while 4:4:4 HD video preserves the full color detail which is important for critical keying and feature film work. The HDLink Optical Fiber model is the worlds first broadcast monitoring solution with built in optical fiber SDI connections. Optical fiber easily handles long distances, is low cost, and optical fiber cables last virtually forever because you can keep plugging them into faster equipment in the future, and the same cables will go much faster. Optical fiber cables can be installed by your local electrician, and the cables can be purchased from your local electrical wholesaler. That's because optical fiber is used all the time in computer networking, so it's low cost and commonly available! Now you can build a native optical fiber facility! HDLink and HDLink Pro support all SDI based formats from standard definition NTSC/PAL to HD-SDI 1080 and 720 when used with DVI displays. HDLink Pro features 3 Gb/s SDI, so also works with real time 2K monitoring as used on Blackmagic Design's new Multibridge Eclipse. With HDLink you'll get the best image quality possible with format compatibility guaranteed years into the future. 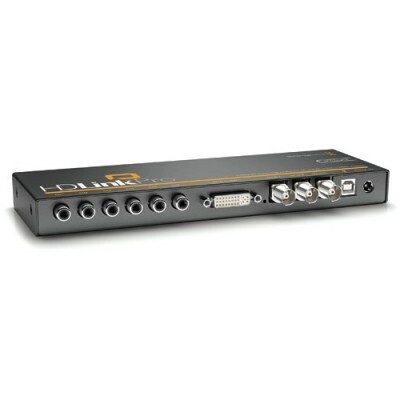 HDLink's SDI video input automatically switches between SD, HD and 2K. Unlike CRT based monitors, HDLink also supports all HDTV frame rates and formats including progressive HD formats. SMPTE 352M video payload identification ancillary data is used for automatic input format recognition and RGB/YUV color space detection. Color precision is at an incredible 10 bit in both SD and HD formats. Video data is automatically rounded down to the bit depth of the connected LCD display for superior viewing quality.